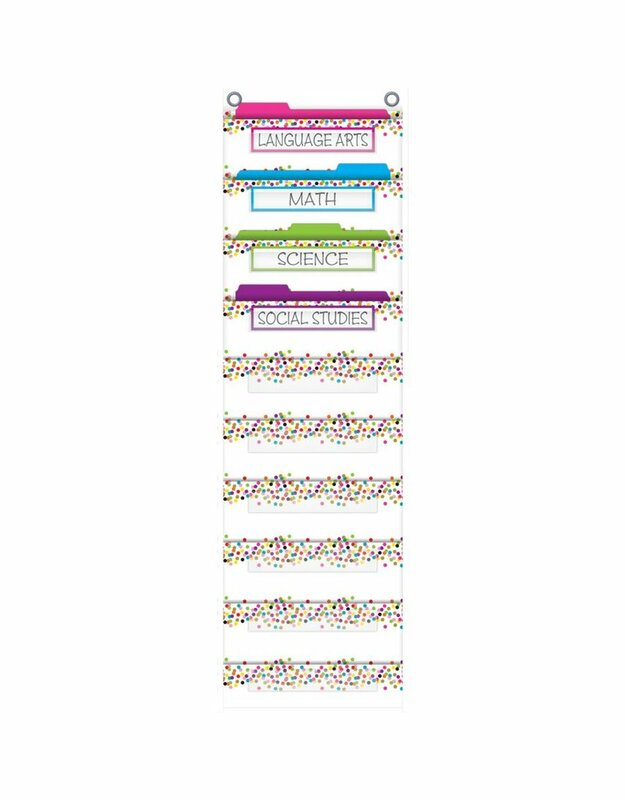 This lightweight and durable Confetti pocket charts features a colorful design and hangs easily from sturdy, metal grommets. 10 folder-sized pockets. Clear label holders. Measures 14" x 58".